I remember in school the boys would fold paper into what they would call a football and then make a goal with their hands and someone would then flick the football into the goal. 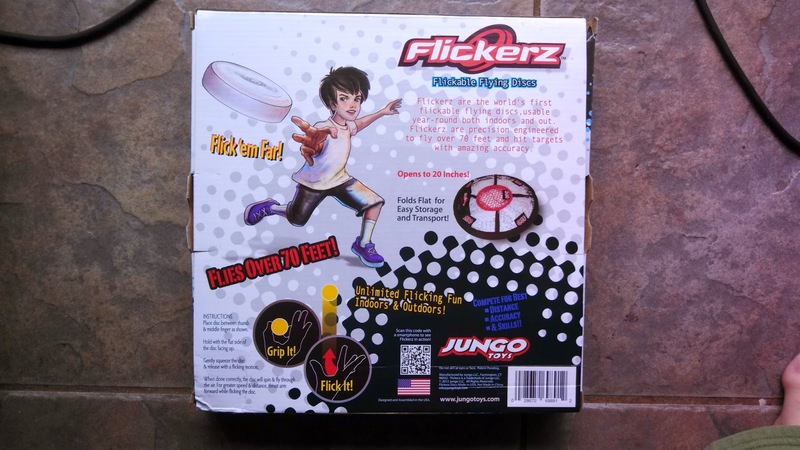 Jungo toys has made this game into a more fun exciting game by creating Flickerz. Flickerz is a fun game which has a net that pops up for play or folds flat for travel. 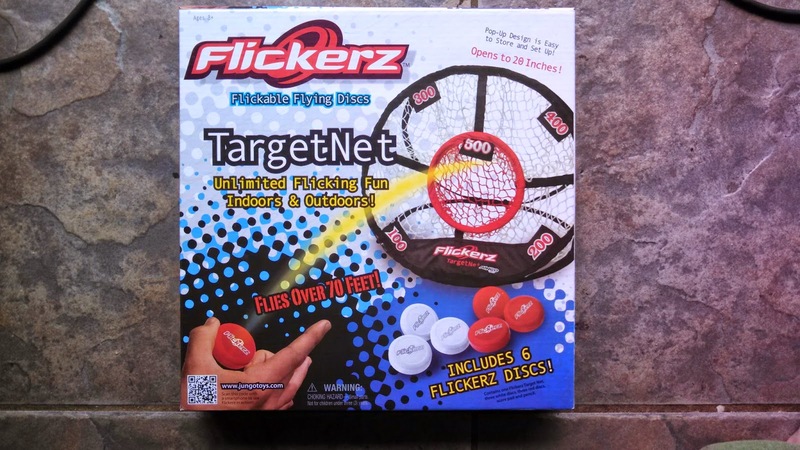 The Flickerz game is played with 2 players white and red and each gets 3 disk, the object so to aim the disk at the goal and add up points whoever has the highest points wins. The net has different scores, 100-500, 500 being the center. The net can be placed as close or as far as you want the disk in the Flickerz game can go over 70 feet! What is great about this game is you can play it both in and outdoors. You can also play a mean game of catch with Flickerz because they fly so well and can be hard to spot when coming at you, which makes for great focus. You can purchase Flickerz by clicking here.